Rai #3 is usually miscut at the top. A nicely-centered copy shows blue sky and orange above the Rai title box. 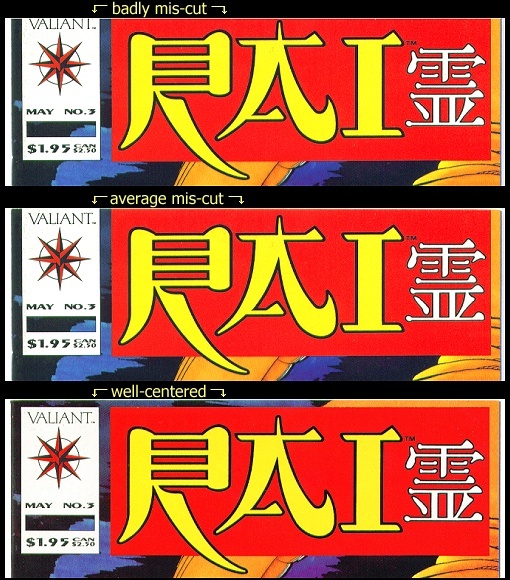 If Rai #3 is undervalued, the centered copies are even moreso. Please don't open that can of worms, I've had enough of the "it's a variant, but not really" books. No offense I just feel it's a little too much. To each their own though. I understand, but there's already quite a bit of "well-centered" discussion for certain books with known problems in every age. Rai #3 is my favorite cover from the 1990s, but it is usually distractingly miscut. It's not a variant. It's a common production flaw that is sometimes avoidable. I understand, but there's already quite a bit of "well-centered" discussion for certain books with known problems in every age. 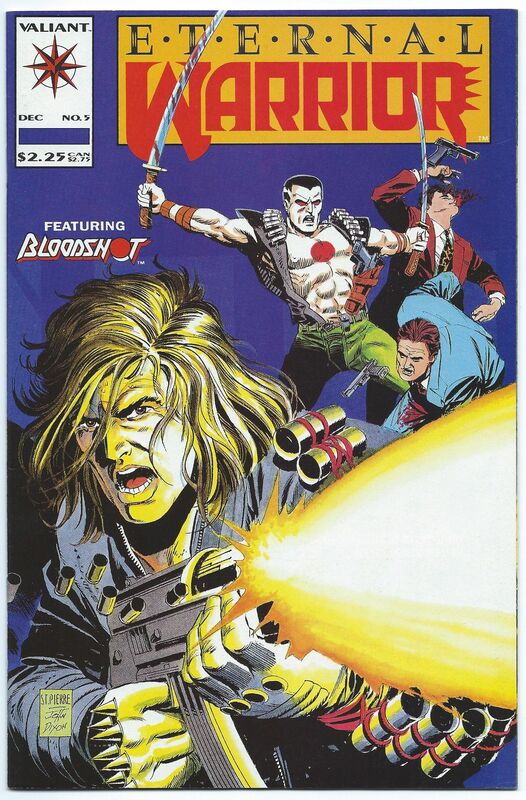 Rai #3 is my favorite cover from the 1990s, but it is usually distractingly miscut. I see where you're coming from, but there are a lot of famously miscut books. Are we going to treat variations of those differently based off of this variation? I agree though the pre-unity RAI issues feature some of my favorite covers, there is just something about them that sets them apart from other covers from the time period. Rai 3 is fantastic! I don't know about "treat them differently" but if we instinctively buy the book that looks best, we'll have to do some compare and contrast. Rai #1-#5 (and #0 later) make a great side-by-side set to collect. The centering on all of them needs to match for the best looking lineup. I was about to point this book out as a reason why it's not exactly a Hulk 180/181 situation. Since EW 5 is the continuation of the story that features the last page cameo, it is more analogous to Hulk 181 (except that Rai #0 was published between them). Since Rai 0 is a bit of an oddball book, covering lots of little bits of history, there might be room for EW 5 to get a lot more respect further down the road. Eternal Warrior #5 has always been really cheap ($40 to $50 for CGC 9.8), but it is the undisputed first Bloodshot cover and first full Bloodshot story. There are still lots of them around, but it was 27 years ago. Bronze Age books are pretty plentiful and I wish I had bought a fe﻿w key Bronze when they were 27 years old. And yet . . . this copy has been listed at a reasonable price 4ever. I sold one of my copies last week too. The silhouette on the cover of Rai 0 is bloodshot right? So that's first cover then. Funny how I never noticed Jim Shooter gets creator credit for the cover of Rai 0. Yes. It's the silhouette of the Punisher from the Marvel Handbook. If this was the work of a pump and dump board member, as someone may or may not have alleged, the plan was a fail. Other than the oddity run on the book early in the day, there was not much more than the normal buy/sell pattern for the rest of the day on it. In all Honesty THIS is the Man I listen to on Valiant. 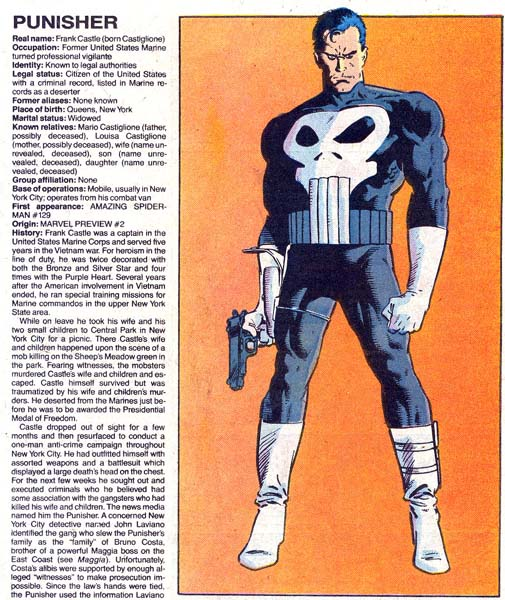 As it has been posted, the silhouette of Punisher from the Marvel Handbook is exactly what Jim Shooter used for the image. Is it Bloodshot? Yes. No. Both are valid answers. The silhouette was reused with the Rai trade paperback, bagged with Rai Companion #1. It's the Rai image that includes the scope on the gun to match the silhouette... if we really want to make a decision. Jim Shooter was no longer at Valiant at the time of the Rai trade paperback, if we want to keep debating. Neither image is a perfect match. There are shoulder pads in the silhouette that aren't on the trade or trade companion. Question of the day: Does a silhouette constitute a 1st Appearance? I had a lot of interest in the copy I had up in the $10-13 range. I think I had it at $18. I have others so I took $13. Obviously, Rai’s first appearance is in the Official Handbook to the Marvel Universe. FLASH #92 DC July 1994 1st App IMPULSE (Bart Allen) NM/MT 9.8 W NEW KID IN TOWN!